The church of St Stephen’s in Montpelier Place has one of the most checkered and interesting histories of any building in Brighton. It was built originally in 1766 as the ballroom of the Castle Inn and occupied a site overlooking Castle Square on what is now the eastern end of North Street. It was designed by John Crunden, architect of Boodle’s Club in London and author of books on interior decoration, and consisted of a single large room that was articulated by a giant order of pilasters and free-standing columns with delicate Adamesque decorations. 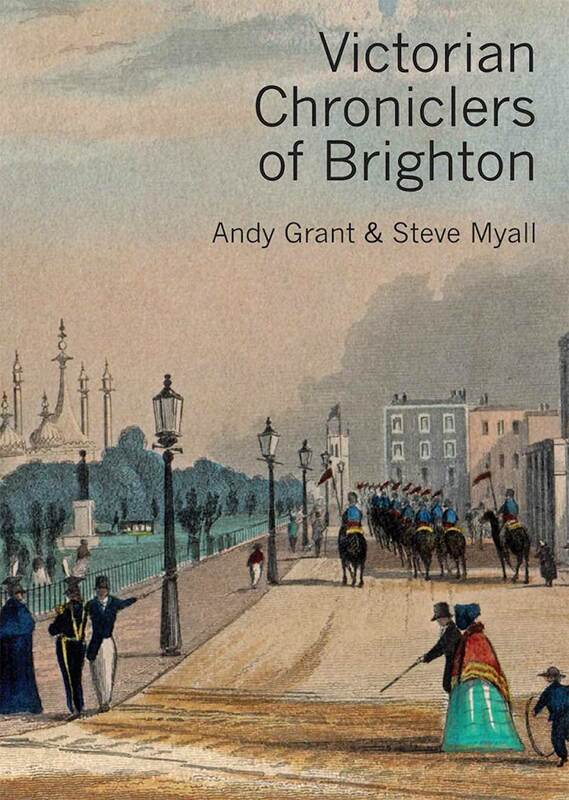 The Prince of Wales, who first visited Brighton in 1783, established his seaside home in the classical marine pavilion which Henry Holland had built for him on the edge of the Steine in 1787. At the time, the Parish Church of St Nicholas stood isolated, high on a hill to the north-west of the town. But the Prince was unwilling to make the climb up Church Street for his Sunday prayers and in 1793 caused a new Chapel Royal to be built in North Street as a chapel of ease of the parish church. However, when its vicar delivered a sermon on immorality that the Prince construed to have been directed at his royal person, he abandoned the North Street chapel and, having purchased the Castle Hotel to add into the Pavilion Estate, converted its ballroom into his private chapel in 1822. 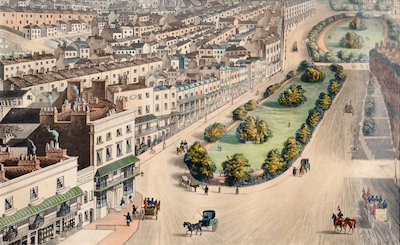 Later, when Queen Victoria turned her back on Brighton, the Pavilion Estate was purchased by the town and in 1850 the council decided to demolish the ballroom / chapel in order to create a connection between North Street and the Steine. But the building was still consecrated and the Wagner family intervened with a proposal to move it to a piece of land in Montpelier Place that they owned. Exactly how the church was eventually moved is not known: it seems unlikely that it was carried brick-by-brick, as is sometimes suggested – a more likely scenario would have been that a new shell was constructed to the exact dimensions of the old building, thus allowing the interior decorations to be removed and carefully reinstated. A new street facade was added in the form of a somewhat severe classical temple-front with giant pilasters that matched those of the interior, and to this a single-storey porch was later added. That porch now carries a plaque that was added in the 1960s by the Regency Society to record the origins of the building. The church was re-christened St Stephen’s and continued to be used for worship well into the 20th century. During its early years the congregation faced an altar which was built into a niche on the east wall, but later a new altar was placed on the shorter north wall. After the First World War it suffered a decline which was exacerbated by the glut of churches which had been built during the 19th century. After years of neglect it served as a centre for the blind until it was ravaged by a fire. Later the shell was taken over by the Brighton Housing Trust and was designated as its First Base Centre, to provide food, bathing facilities and counselling as well as emergency overnight accommodation to homeless people. This required the addition of cubicles and over the years the features of the original ballroom were increasingly obscured. 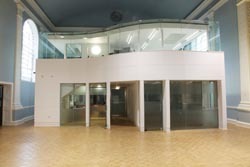 In 2008 the Brighton Housing Trust approached Camillin Denny, a young Brighton practice, to draw up plans for a complete makeover of the building. The architects offered their services pro bono during the early stages and carried out the detailed design and supervision at cost. The design process involved lengthy discussions with both the client body and representative users and had to take into account the sometimes onerous requirements of the council’s local conservation officer. • A building with a two-hundred-year history will have undergone a series of changes, and it is sometimes difficult to determine which of the resultant time layers should be conserved. The architects appear to have addressed all of these issues with considerable skill and ingenuity. Within the limits of a tight budget they have produced a design that restores the interior of the original ballroom, meets the exacting functional demands of the Housing Trust and provides a bright, and welcoming environment for its homeless users. Their main strategy has been to remove all evidence of the more recent cubicle additions and to introduce new free-standing elements which are totally detached from the building’s main envelope. This means that the original interior decoration can now be seen in its entirety but it also results in the creation of a number of secondary spaces of different sizes and different degrees of seclusion. It is interesting that budgetary constraints have meant that not all of the decorative details could be fully restored but this fact helps to tell the story of the building. The main surfaces are coloured light blue and the decorative details are picked out in white – no overly complicated multi-hued games here! The two new pods were each designed on two storeys, though only one of these has been fully completed during the current building phase. They have been designed as elegant white boxes with large areas of glass that ensure both transparency and inter-visibility. Here the architects follow the example of Carlo Scarpa and Karljosef Schattner: conserve what is old but add in new elements that are neutral and of their time. So a new chapter has been added to the book of the building. The overall impression of cleanliness and light suggest a possible problem: will these elegant interiors stand up to the wear and tear to which they will doubtless be subjected? The architects – and their clients – argue that it is better to provide a quality environment that the users will cherish, rather than a robust environment which will alienate them. Let’s hope that they are right. This is an exemplary project, as good as anything of its kind to have been seen in our town. One only has to compare it to the dismal conversion of the Newburgh Assembly Rooms or the sad compartmentalisation of Goodhart-Rendell’s masterpiece in Elm Grove. Client, architect and – yes – conservation officer are to be congratulated.